"This purse is FANTASTIC! The shape, the weight, the pockets, all the fabrics. The feed sack is so cool and in great shape. On top of all that, it is very well constructed. She's got some wicked awesome sewing skills!" So What is a Feed Sack? Learn more about this integral part of mid-century farm life. "I love love these pillows! Color combo and style matches my room perfectly! Awesome attention to detail. Great communication. Kristy's a doll. Thanks!" Pillow Shown in BHG Book! I am very pleased to announce that one of my pillows is pictured in Better Homes & Gardens “New Cottage Style” book which came out last summer! "This is my favorite find of all time! Incredible OOAK item and very well made -- thank you!! W3bch1ck Bag Featured in National Magazine! 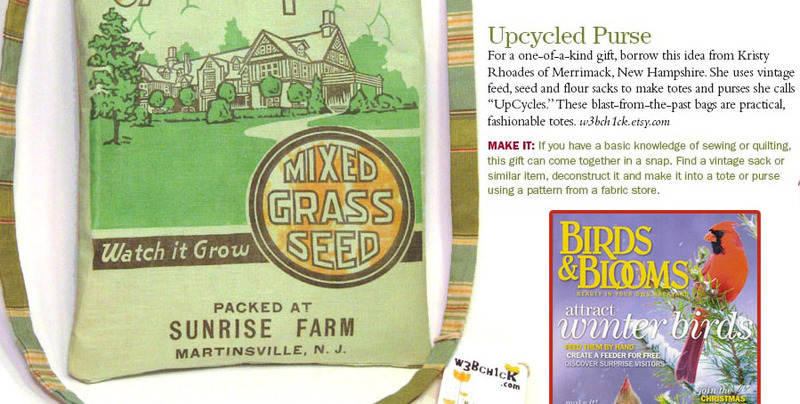 One of our vintage seed sack purses was featured in an article in Birds & Blooms Magazine! View photos of past products sold on my Etsy store! 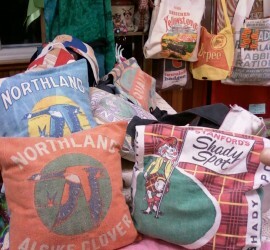 So what is the “correct” term for the great vintage sacks I use? Good question! 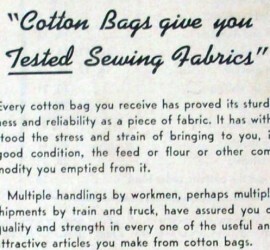 The best answer I’ve found in my research is “Vintage Advertising Textile Bags”.